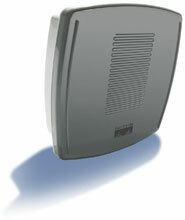 The Cisco Aironet 1300 Series has been discontinued. No direct replacement is available. The Cisco Aironet 1300 Series supports the 802.11b/g standard – providing 54 Mbps data rates with a proven, secure technology. Cisco makes the maintenance and installation of the Aironet 1300 Series easy by integrating it with your wired network. Based on Cisco IOS operating system, the Cisco Aironet 1300 Series provides advanced features such as Fast Secure Layer 2 Roaming, QoS, and VLANs. Key benefits of the Cisco Aironet 1300 Series include configurable for access point, bridge, or workgroup bridge roles, support for both point-to-point or point-to-multipoint configurations, and enhanced security mechanisms based on 802.1x standards.